I haven’t written in awhile because I have taken some time to once again focus on myself. I’m beginning to find that it is important to once and awhile give yourself a time out to focus on yourself. It seems that I appreciate this even more since battling Gastroparesis. Over the past few months, I have continued to focus on my food selections and exercising. I am happy to report that it is paying dividends, not only for my physical strength but my mental strength as well. I’m really starting to feel like I am getting my life back and am here to say that there is hope. So NEVER NEVER NEVER GIVE UP! Over the past few months I have taken time to reflect on where I am now and compare that to where I was last year (especially last spring). I can’t even believe the differences. In fact, you probably wouldn’t even know I was the same person. I feel like I’m being given a second chance in life and intend to make the most of it. Part of that includes letting everyone with Gastroparesis know that there is light at the end of the tunnel. It takes A LOT of trial and error. A LOT of hard work. 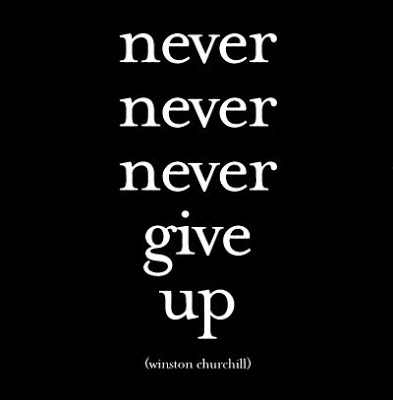 A LOT of NEVER NEVER NEVER GIVING UP! But I am living proof that it CAN get better. Yesterday, I ran a 5K with my best time since high school. I’ve also been focusing on strength training, and today I was able to deadlift 135 pounds. So it is possible to come back from Gastroparesis. Yes, I still have bad days but the bad days are getting fewer and farther between. I’ve also started to become at peace with how some people chose to treat me while I was at death’s door. They are the people who have to live life treating people that way and saying the types of things they said. I am only torturing myself more by hanging on to the hurt. I finally realized that letting go of the hurt is not letting them off the hook but freeing myself from the last bit of pain that they have caused me. Good riddance to them and am happy to now have myself surrounded by people who survived the storm with me because if they can help me through the horror days of when Gastroparesis was at its worst then they can help me through anything. So keep your chin up and keep fighting, because there are better days ahead! Also, stay tuned. This time away has developed some ideas brewing in my head, I just have to figure out how to implement them. Love you all and thanks for following this blog, even though I took another hiatus! Yes, NEVER give up. Keep fighting. I hope that in these 8 months that you were able to find some relief. I stumbled upon your blog as I was looking up Gastroparesis + gluten and dairy free. I have had Gastroparesis since I was 14 but I would say it has become the most severe in the past four years. I was recently told I needed to stay away from gluten and dairy, which seemed not to much of a challenge except for the fact that with Gastroparesis we cannot have many fruits and veggies. So I was wondering what you would say you normally stick to with eating and what a normal meal looks like for you? I am feeling frustrated and like I cannot eat anything so finding your blog was an encouragement that there are other people out there. Thanks! There are definitely things that you can find to eat. The main thing is to focus on what you CAN have rather than what you can’t. (Easier said than done, FOR SURE!) However, if you can master this mindset it makes a world of difference. I eat a lot of chicken, potatoes, rice, greek yogurt, and berries. For me, I found that I can’t have cow’s milk but do okay with other dairy (cheese is fine). I also found that I have to limit my bread and pasta intake or I get extremely bloated. I can still have it once in awhile in small quantities. However, I can have other gluten items. Graham crackers are fine. The main thing I did (I’m not a medical professional) was to eliminate several different things and then slowly add one or two things back. If those couple of items went okay, I would then add in another item. If they went bad, I would at them to the list and then start over. I hope that you are feeling better and were able to find some of the support groups that are online!